TN Miller Remodeling offers a full service design/build process. Whether you have us design your project, bring us your design, or a third party design you will enjoy the benefits of the design build process. Accountability is the key to the design/build process and that means there will be no surprises from start to finish. It all starts with your budget, from there the design complexity, materials, and process is mapped to ensure we deliver the project you want, on budget, and on time. Many prospective remodelers hire a designer or architect to design their project and then shop two to three builders to construct their project , this method is called design – bid – build. By using this process many remodelers end up with unsatisfactory projects which run over budget and schedule. 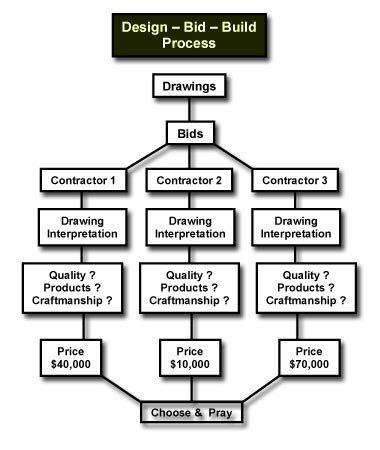 The “traditional” method of Design-Bid-Build is by no means the best way to execute an efficient remodel project. It can cost the remodeling client time, quality, and money. One source of responsibility, with both design and construction in the hands of a single entity, there is a single point of responsibility for quality, cost and schedule adherence. The design-builder is motivated to deliver a successful project by fulfilling multiple parallel objectives, including aesthetics and functional quality, budget, and schedule for timely completion. With design-build, the client is able to focus on scope/needs definition and timely decision-making, rather than coordination between designer and builder. Quality, the singular responsibility inherent in design/build serves as a motivation for quality and proper project performance. Cost Savings, design/build personnel, working and communicating as a team, evaluate alternative materials and methods efficiently and accurately. Time Savings, because design and construction are overlapped, and because bidding periods and redesign are eliminated, total design and construction time can be significantly reduced. Early Knowledge of Firm Costs, guaranteed construction costs are known far earlier than in other delivery systems. The entity responsible for design is simultaneously estimating construction costs and can accurately conceptualize the complete project. 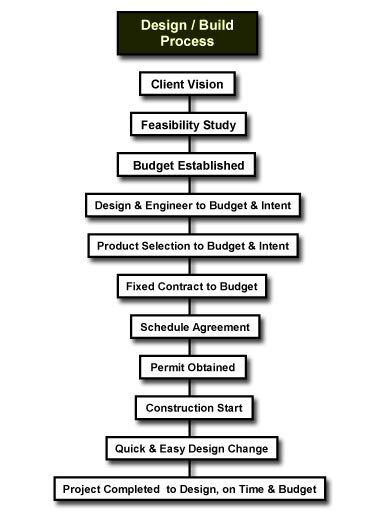 Staged contracting for design/build services affords the client on or more “go, no-go” decision points during design. The decision to proceed with the project is made before substantial design expenditure and with firm knowledge of final costs. Improved Risk Management, performance aspects of cost, schedule and quality are clearly defined and responsibilities/risks are appropriately balanced. Change orders due to “errors and omissions’ are virtually eliminated, because the design/builder has responsibility for developing drawings and specifications as well as constructing a fully-functioning project.